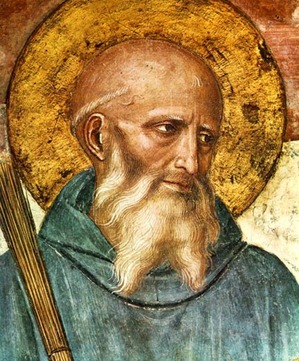 I've been wanting to blog through the Rule of St. Benedict. But the vision of that seems too daunting to me. So a middle way: On Fridays I'll share a passage from the Rule, perhaps just a quote, perhaps with some commentary. Though I might skip chapters the plan is to go sequentially through the Rule, beginning to end. 45Therefore we intend to establish a school for the Lord's service. 46In drawing up its regulations, we hope to set down nothing harsh, nothing burdensome. 47The good of all concerned, however, may prompt us to a little strictness in order to amend faults and to safeguard love. The description of a monastery as a "school for the Lord's service" is interesting. I wonder if churches see themselves the same way? "Welcome to the Oak Trails Church! We are a school, a school for the Lord's service." It's an interesting question because Benedict raises the prospect of "a little strictness," though "nothing harsh, nothing burdensome." Which makes sense if organization is a school, a place of training. Incidentally, the phrase "nothing harsh, nothing burdensome" is historically and theologically significant in the history of monasticism. The Rule of Benedict became so influential because it introduced into the monastic movement a humanity that was largely absent in the harshly ascetical expressions of early Christian monasticism. There is a great concern in the Rule for failing or struggling monks and a recognition that basic things like decent food, rest, and clothing are not sinful indulgences of the flesh. This sounds incredibly interesting, and I look forward to more. What translation are you reading? I might want to follow along. The rule begins with the word "Listen" This is the most important thing and you should start there. I know this as a former nun. I'm going to read with an historical perspective in mind. St. Thomas--who often quotes St. Benedict (no surprise)--began his great work with the view that humanity "is directed to God, as to an end that surpasses the grasp of reason." And Thomas thought that grace "perfects" nature, rather than replaces or destroys it as Lutheran and Calvinistic theologies hold (the three "solas" imply it and "total depravity" states it outright). Here's the historical perspective--and it's really a couple of questions, not a position, that informs my "perspective": (1) To what extent could St. Benedict's "school/rule" have applied to all Medieval Catholics? And (2) if it's conceded that the Late Medieval Roman Catholic Church was a mess, to what extent--if any--can that be lain at the feet of a mistaken assumption, namely, that human nature can be "schooled" into line with Christian virtues. Maybe those questions can be reduced to this: What relationship was Benedict's "school" to have to the great majority of unschooled Medieval Christians, and how did that aspect of its purpose fair? Of course, it's unfair to ask those big questions, and I don't expect direct answers. But perhaps some light will be shed along the way. I'm using Timothy Fry's mainly. But I'm also looking at other ones. Very true. Which is a good reminder to me to say that my observations about the Rule aren't really going to be pastorally driven (thought they may be from time to time). What I grab onto is going to be idiosyncratic. Readers who know me well know I gravitate to the strange, interesting, off-beat, curious or unusual. Those are really interesting questions. I don't know enough about medieval Christianity to know the answers. What I do recall here is Charles Taylors' account in his book A Secular Age where he says monasticism created a division between the "holiness specialists" and the laity working in the town, and how Protestants broke down that wall with the expectation that everyone was to be a saint and needed to clean up their act. Thus the puritanical piety we see in Protastantism. More, Calvin's Geneva was the extention of this "school" into the political/civic realm. Benedict was not a mixer. He was a hermit for 16 years. His monasteries were to get away from the world, not fix it. But, anyone who came to visit was Christ. I know you are "strange, interesting, off-beat, curious or unusual" for a Christian. I read your blog all the time for several years. Great! We can work together on Fridays. I'll be odd and you can, if you want, point to things in the Rule that you've found impactful. Because your point about "Listen," about spiritual watchfulness, is very true. I work at a retreat center and all of us from those who work in housekeeping to the director remind each other from time to time " Let all guests who arrive be received like Christ"
What she said! That is why I read this blog....as someone who has been immersed in Christianity for 54 years, a new, fresh perspective is good for me. Hello Richard. Second time reader, first time commentor. Richard, thanks for this post! I thought your question "I wonder if churches see themselves the same way?" was interesting in a strange way and it is to this my comment is aimed at. Is your question meant to be an aside? Thanks! What inspired you to start reading St Benedict? My research into Christian expressions of hospitality. You can't get far into that subject without coming across Benedict's call to receive all guests as Christ. 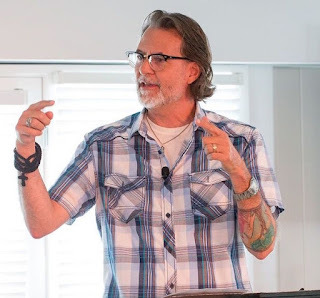 'Many existing churches operate with a 'you come to us' mindset. 'Would you like to join us?' is an invitation to come to 'our' church, set out as we like, at a time that fits us, in a style that we have pre-arranged. The flow is from outside-in: from the world into the congregation.Fresh expressions have a 'we'll come to you' mindset instead. They start not with an invitation ('Come to us on our terms'), but with an offer ('We're willing to come to you, serve you and stay with you. If you want, we'll also help you to be church in a way that suits you - in your style, not ours'). The aim is not to provide a stepping stone into existing church, but to form new churches in their own right. 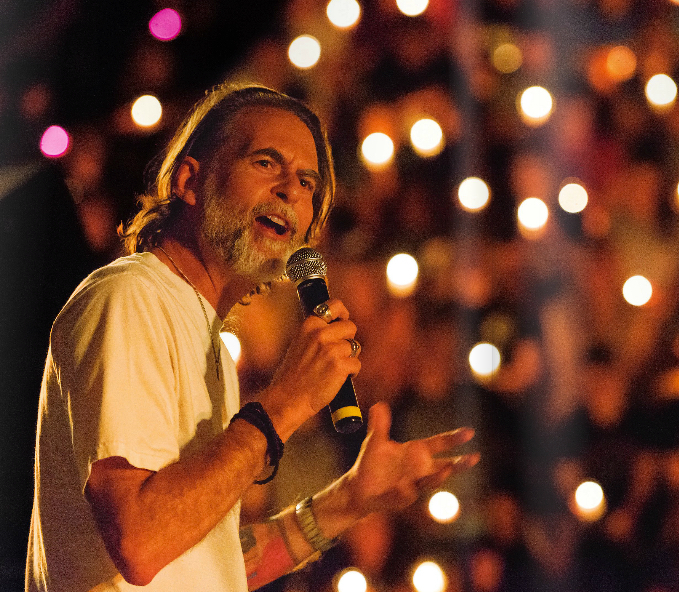 The flow is from the congregation to people outside – not inward, but outward.Fresh expressions is a new mindset, not a new model of church to be copied. It is a mindset that starts not with church, but with people who don't belong to church. 'http://www.freshexpressions.org.uk/guide/about/whatisChrist always sought to meet others in their homes -- there are not too many examples of him inviting them to come into temple on Sabbath. I suppose I am struggling with the monastery lifestyle as a model. Although St Benedict's Rule is a Christian expression of hospitality, that hospitality is only extended to those who choose to go into the walls away from the world. The monks under St Benedict did not go outside the walls of the monastery to extend Christ's hospitality to others. It was still an exclusive club where Christ's hospitality was indeed offered to outsiders, but only if they came inside. Pilgrims would be the outsiders who might want to come inside. Pilgrims today, as well as those in medieval times, are 1) believers to begin with, and 2) provide a needed source of income for the Abbey's maintenance and upkeep. The pilgrims themselves, then, go into the Abbey to share in and extend the hospitality of Christ to those who are long-term dwellers of the Abbey. Pilgrims are transient: many will eventually move on but many also choose to make return visits. Kind of like short-term missionaries in today's world. Pilgrims can be a strengthening force for the good of a church community but they can also be a force for disruption to the order and discipline of the community. They have to learn to fit in. St Benedict's Rule must have some degrees of flexibility to welcome the disruptions.Iona has a long history of Benedictine life and many modern-day pilgrims flock there, including me and my husband, There has been much to observe about how the different church groups represented on the island extend Christ's hospitality to others and to the islanders. We stay in a retreat house not associated with The Abbey (begun by Benedictines circa 1200) but run by islanders who are laity. How they would answer your question that is vexing me would be really illuminating. We did attend The Abbey for nightly worship services and can relate to some of what is written here:http://ship.saintsimeon.co.uk/Mystery/2004/758.htmlAm really looking forward to more of your thoughts on St Benedict's Rule. I've often wondered what he would think of Iona if he had been there to chat with St Columba, had stayed on for a bit when the Benedictines were there, and generally got to see how the spiritual life evolved through the ages with all sorts of interruptions to The Rule. Am really looking forward to more of your thoughts on St Benedict's Rule. My apologies to you and the other commenters. AWKward!